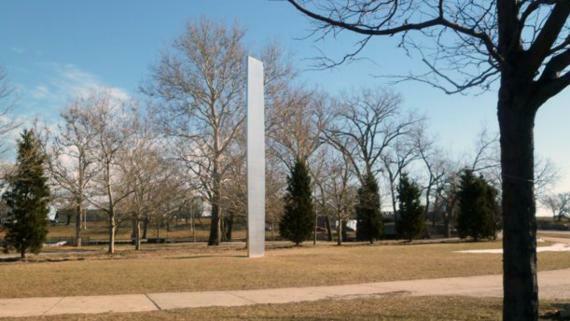 January 23, 1979 – The Chicago Park District Board of Commissioners approves a $100,000 stainless steel sculpture that will be placed on the northwest corner of Fullerton Avenue and Cannon Drive. Half of the cost will be underwritten by a grant from the National Endowment of the Arts and the other half from citizens who have donated money to Friends of the Park. The sculpture’s creator will be Ellsworth Kelly. According to the Chicago Park District website, “Ellsworth Kelly studied art at the Pratt Institute and developed metalworking techniques as an army engineer in World War II. After the war, the G.I. Bill allowed him to study at the École des Beaux-Arts in Paris. While in France, he began producing his earliest abstract paintings. Kelly returned to America in the mid-1950s and began making his earliest freestanding sculptures. By the early 1970s, he was exploring curves in his paintings and in totemic aluminum and steel sculptures that had subtly curving forms.” [chicagoparkdistrict.com] The commissioned work on Fullerton Avenue, “Curve XXII, would be Kelly’s first major commission for an outdoor sculpture. Today it stands on the northeast corner of Fullerton Avenue and Cannon Drive. It replaces a monument to Carl von Linné that was moved to the University of Chicago. For more about the Linné monument and Kelly’s sculpture you can turn to posts in Connecting the Windy City here and here. 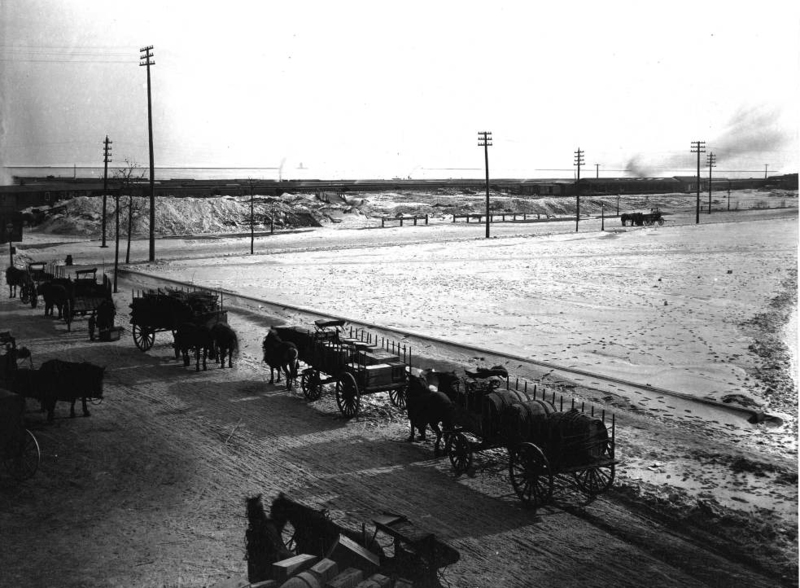 January 23, 1893 – At a meeting of Michigan Avenue property owners in the offices of Montgomery Ward and Company, “practical steps to begin beautifying the Lake-Front and make it ‘a thing of beauty and joy forever’ for the people of Chicago” [Chicago Daily Tribune, January 24, 1893] are begun. With a proposal pending in the City Council to lease a portion of the lakefront from Madison to Randolph Streets to a company for the production of firework displays, the group is alarmed that once such a foothold has been established, “it might be hard to dispossess them.” The opinion is unanimous that “the cupidity or corruption of city fathers and others who were periodically trying to use those blocks, originally dedicated to the public for private purposes, should be at once and forever thwarted.” The paper reports that Montgomery Ward speaks strongly against “the tendency of the Chicago of today to be indifferent to the needs and beauties of the Chicago of the future …This is the age of commercial activity, but there should be something in life besides this ceaseless grasping for the dollar … The authorities of all other great cities in the world, and especially those of Europe, are tearing down marble blocks and widening thoroughfares to create breathing places and pleasure grounds for the people, while our city authorities are always trying to convert one of the most beautiful locations for a people’s park into a dumping ground for garbage or a speculative site for builders and railroads.” The merchants at the meeting decide to enclose the area between Michigan Avenue and the Illinois Central tracks, from Madison to Randolph Streets, with “a handsome ornamental fence.” At the foot of Washington Street will be a large gateway with other entrances at the north and south corners of the area off Michigan Avenue. “Inside the grounds,” they agree, “will be laid out a delightful way for promenades, flower gardens, fountains, and statues, with plenty of seats for the people.” The members of the group propose to make the improvements at their own expense. The attractive scene in the above photo looks toward Michigan Avenue and the lake from Randolph Street in 1893. The present Chicago Cultural Center stands on the empty lot. 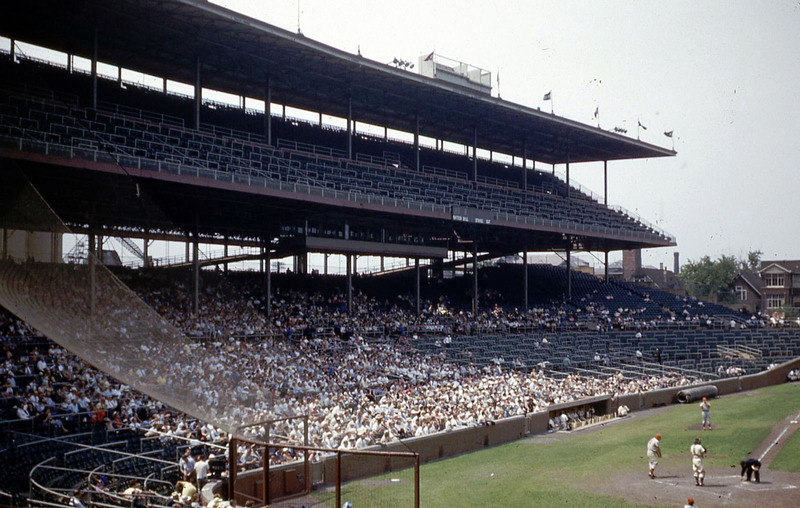 January 23, 1952 – The Chicago Cubs announce that the organization will be raising the price of box seats at Wrigley Field to $2.50, a 50-cent increase, for the 1952 season. The White Sox decide to keep the price of their box seat tickets at $2.00. The Cubs soften the blow with the announcement that grandstand seat prices will remain unchanged at $1.25 and the price of bleacher seats will also be held at 60 cents. The Chicago Daily Tribune offers a look at how these prices compare to other major league ball clubs, citing these numbers: National League—Boston, $3.60; Brooklyn, $3.00; New York, $3.00; Pittsburgh, $2.75; Philadelphia, $2.50; St. Louis, $2.25; Cincinnati, $2.25. American League—New York, $3.00; Detroit, $2.50; Philadelphia, $2.50; Boston, $2.40; St. Louis, $2.25; Cleveland, Washington and Chicago, $2.00. The Cubs cite the increased cost of operating the club along with construction work in the box seat section designed to “make the park the most beautiful in big league baseball” [Chicago Daily Tribune, January 24, 1952] as contributing factors in the increase. The above photo shows the box seats at Wrigley during the 1953 campaign, at the end of which the Cubs were 40 games out of first place. January 23, 1949 -- The first place winner in a nation-wide architectural competition for new talent sponsored by the Museum of Modern Art in New York City is Joseph Y. Fujikawa of Chicago. Mr. Fujikawa was born in Los Angeles and began his college career in a five-year program in architecture at the University of Southern California. That was interrupted when World War iI began, and he was interred in a "relocation center" in Colorado. After three months there he managed to get into the Illinois Institute of Technology, at which Mies van der Rohe was the director of the School of Architecture. His time at I.I.T. was also interrupted by an 18-month stint in the Army, and Fujikawa graduated in 1944. His career really began with Mies's first residential building in Chicago at Promontory Point. 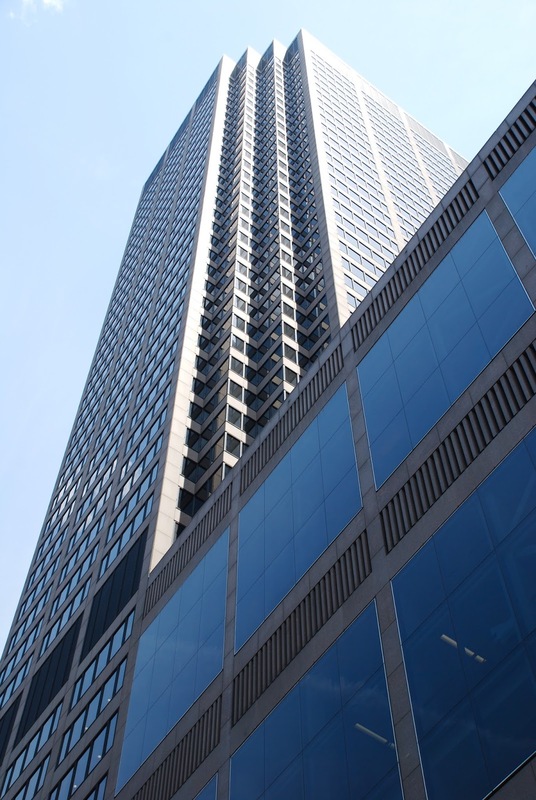 Perhaps his two most noteworthy designs in Chicago are the Ralph Metcalfe Federal Office Building across Jackson Boulevard from the Federal Center and the former Mercantile Exchange towers at 10 and 30 South Wacker Drive, the north tower of which is pictured above. Fujikawa died in Winnetka on the last day of 2004.